How to Answer PMP Change Management Questions Correctly? PMP Change Management questions are considered to be difficult questions. The questions are long, confusing and unnerving. Sometimes, all the options seem to be the correct answer. While answering these questions, usually the aspirants are not sure about the correct answer. Look at the adjacent picture. Does it summarizes your dilemma with respect to PMP Change Management Questions? Do you also get confused between different options? If your answer to these questions is yes, then you are at the right place. I will give you a complete lowdown on how to answer the PMP Change Management questions. I believe, you would be able to answer these questions correctly after reading this post. Let’s get going. It is important to understand the definitions of Change and its related terms before we address our original dilemma. Before you go ahead, you should read my article that provides definitions of different Change related terms. You can also read another article that explains why a defect repair is considered as a change request. The following figure provides an overview of PMBOK Guide’s Change Request Related processes. This figure does not show all the PMBOK Guide’s processes. Rather, it provides an overall picture of how the Change Request flows through different processes. A Change Request (CR) is an Output of only one Planning Process (not shown in the figure), most of the Executing Process and all the M&C Processes. A CR is an Input to the Perform Integrated Change Control (PICC) Process. In PICC, a decision is taken on the CR by the Change Control Board (CCB). The CCB can Approve or Partially Approve or Reject or take any other decision on the CR. An Approved CR is an Output of PICCC. Change Log is also an Output of PICC. An Approved CR is Input to the Direct & Manage Project Work (D&MPW) Process. Approved CRs are implemented in D&MPW. As per the PMBOK Guide, the composition & authority of the CCB is defined in the Project’s Change Management Plan (CMP). CMP is a subsidiary plan of the comprehensive Project Management Plan. A Project Manager (PM) may or may not be the part of the CCB but she/he has to act in accordance with the guidelines of CMP. Note: Most of the times, the Step II and the Step III are performed together. Unless otherwise explicitly stated in the question, assume yourself to be the PM and then answer. You are the PM and you have a responsibility to solve the problem presented in the question. You just cannot pass the buck. Unless otherwise explicitly stated in the question, assume yourself to be working in a Matrix Organization. It means that you do not have complete control over your team and you do not have complete decision making power. It also means that you share you power with the Functional Managers. Unless otherwise explicitly stated in the question, assume yourself to be outside the CCB. It means you cannot take any decision. You can present the CR (along with possible alternatives/solutions) to the CCB and share your opinion with the CCB. But, you cannot take the decision on behalf of the CCB. Only CCB can take a decision on the CR. They can approve it, partially approve it, reject it or take any other decision. If CCB is not explicitly mentioned in the question, a similar Role/Person will be mentioned in the question e.g. Sponsor, Customer or Senior Management. If you see a “what comes first/next” kind of question, then you should answer it by following the 7 sequential steps described in the previous section. There are only 4 options provided with the question. You have to choose the best option among the 4 options even if you feel that a 5th option would have been a better answer. Let us pause for a moment. What would you do, if such a situation was presented in an exam question? These situations may be over-dramatic, but you may get some really tough situations in the exam questions. The best part is you don’t have to think about the situation at all. Maybe, if you want, you can think about it for a fraction of a second. But, as the PM, you have to leave the decision to the CCB. To answer the change related questions correctly, just follow the 7 steps & 9 rules and you will never get a question wrong. You should practice a lot of questions to succeed in the exam. There are no shortcuts to pass the exam. 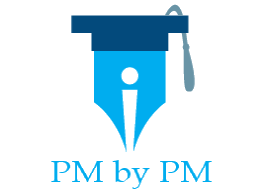 If you are looking for free PMP sample questions then you should look at 3000+ free PMP Sample Questions. If you are looking at some good sources for paid questions, then you can consider either PMP Exam Simulator by Cornelius Fichtner or PMP Practice Exams by Christopher Scordo. For complete details about my recommendation, you can look at my article that compares 6 popular PMP exam simulators. However, before you buy any paid tests, you should read my article on 13 Reasons to Invest in a Paid PMP Practice Exam. If you are still confused about the questions, you can put in a comment and I will provide an answer as a comment. Good luck. Project Plan is approved by the sponsor/Sr Management and contains detailed project schedule with tasks and assignments to the tasks. My question is that , As per PMBOK does this qualify to be a change and if so how is it handled through CCB? 1. Was John part of the team? 2. (Considering John to be the part of the team) Is there any other impact on Project – like Schedule or Cost or Quality or any other parameter by assigning of John? Basically, we are trying to ascertain “Is it a Change?”. If the answer to Q2 is “NO”, then it is not a “Change”. So “Change Management” will not happen. Otherwise the PM will have to follow Change Management process. PMP Q are usually long. They give you entire situation. Based on that you can pick the best amongst the 4 options. Hope it helps. If he wasn’t part of the team, wouldn’t you need to update the HR plan? Niki, If John is not part of team, you will need to update the HR plan. In that case, it is likely to be a CR – depends on what Q is saying.